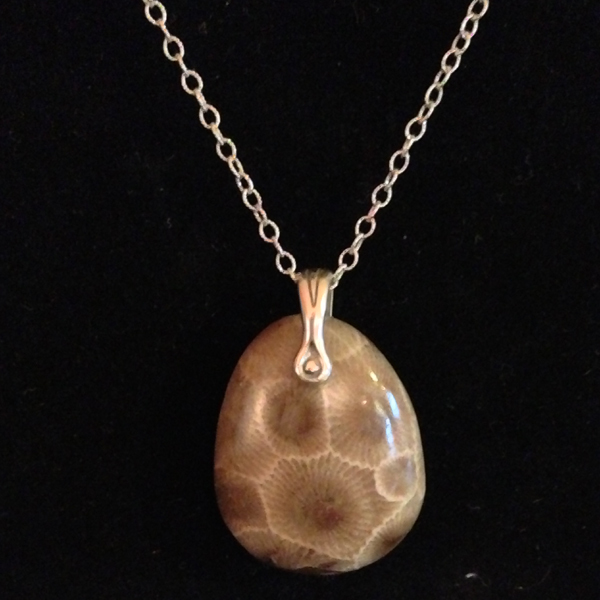 Stunning Petoskey Stone Necklace Now Available! Here is another stunning Petoskey Stone Necklace by Shoreline Gems. This Petoskey Stone Necklace has a small, approximately 1″ polished Petoskey Stone strung on an 18″ sterling silver chain. With the holidays soon approaching, this Petoskey Stone Necklace is just in time. Buy yours now for your loved one – it makes the perfect gift that anyone of any age will love and cherish.